Note:this Apple watch band 42mm only uses for Apple watch 42mm, not for 38mm. 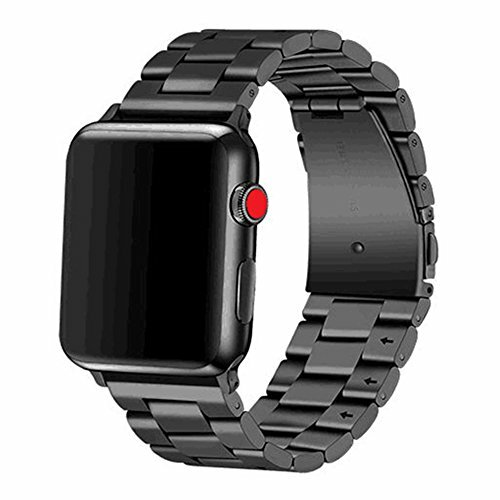 Apple watch band 42mm material: Premium Stainless Steel Size:for Apple watch 42mm Color:Black Fits wrist size:Fits 5.8''--8.1''inches. (140-208mm) Touch Feeling:Smooth Compliance: Our Apple watch band 42mm is suitable for Apple watch Series 1 Series 2 Series 3 Package contents: 1pcs Apple watch band 42mm 1pcs tool to re-size the band length. If you have any questions about this product by Libra&Gemini, contact us by completing and submitting the form below. If you are looking for a specif part number, please include it with your message.